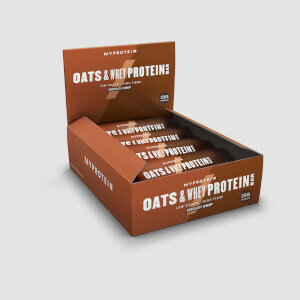 A nutritionally rich formula with the perfect ratio of proteins, carbohydrates, fats, vitamins and minerals that your body needs. Sourced naturally and free from animal products, our Whole Fuel Blend is a great way of getting all-important nutrients without time-consuming meal prep. Whether you’re looking for a plant-based protein kick to help push your results in the gym,1 or carbs to support your recovery for the next session2 — the Whole Fuel Blend is the perfect, convenient solution. 3. Vitamin C contributes to the normal function of the immune system. When to take Whole Fuel Blend? Take 3 scoops (100g) any time of the day to get the nutrients your body needs. 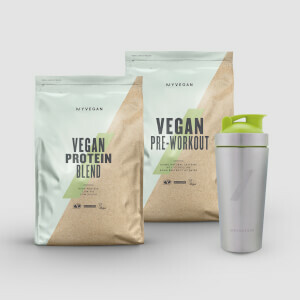 We’ve designed the Whole Fuel Blend to be the complete meal replacement shake, delivering all your essential macronutrients with additional vitamins and minerals. What does Whole Fuel Blend work well with? Whole Fuel Blend is a great way to get all your essential nutrients in a convenient way. But, if you’re really pushing for progress in the gym, add Impact Whey Protein to your daily shakes. For allergens, including cereals containing gluten, see ingredients highlighted in bold. May also contain soy and egg. Vanilla Flavour: Oat Flour (41%), Pea Protein Isolate (23%), Vegan Vegetable Creamer (Sunflower Oil, Emulsifiers (Acacia Gum, Sunflower Lecithin), Brown Rice Syrup, Natural Flavourings, Anti-Caking Agent (Silicon Dioxide), Antioxidant (Alpha-Tocopherol)), Brown Rice Protein (6%), Natural Vanilla Flavouring (Flavourings, Sweetener: Sucralose), Flaxseed Powder (5%), Potassium Phosphate, Calcium, Emulsifier (Xanthan Gum), Vitamin and Mineral Mix (Maltodextrin, Vitamin C, Zinc, Iron, Vitamin E, Niacin, Sodium Selenite (Carrier: Calcium Carbonate), Vitamin A, Copper, Manganese, Pantothenic Acid, Biotin (Carrier: Maltodextrin), Chromium (Carrier: Calcium Carbonate), Folic Acid (Carrier: Maltodextrin), Vitamin D (Ergocalciferol), Vitamin B6, Vitamin B12 (Carrier: Maltodextrin), Vitamin K, Potassium Iodide (Carrier: Sodium Citrate), Thiamin, Molybdenum (Carrier: Maltodextrin), Riboflavin), Inulin Powder, Magnesium, Thickener (Guar Gum). Chocolate Flavour: Oat Flour (41%), Pea Protein Isolate (22%), Vegan Vegetable Creamer (Sunflower Oil, Emulsifiers (Acacia Gum, Sunflower Lecithin), Brown Rice Syrup, Natural Flavourings, Anti-Caking Agent (Silicon Dioxide), Antioxidant (Alpha-Tocopherol)), Natural Chocolate Flavouring (Flavourings, Cocoa Powder, Sweetener: Sucralose), Brown Rice Protein (6%), Flaxseed Powder (5%), Potassium Phosphate, Calcium, Emulsifier (Xanthan Gum), Vitamin and Mineral Mix (Maltodextrin, Vitamin C, Zinc, Iron, Vitamin E, Niacin, Sodium Selenite (Carrier: Calcium Carbonate), Vitamin A, Copper, Manganese, Pantothenic Acid, Biotin (Carrier: Maltodextrin), Chromium (Carrier: Calcium Carbonate), Folic Acid (Carrier: Maltodextrin), Vitamin D (Ergocalciferol), Vitamin B6, Vitamin B12 (Carrier: Maltodextrin), Vitamin K, Potassium Iodide (Carrier: Sodium Citrate), Thiamin, Molybdenum (Carrier: Maltodextrin), Riboflavin), Inulin Powder, Magnesium, Thickener (Guar Gum). Vanilla & Raspberry Flavour: Oat Flour (41%), Pea Protein Isolate (23%), Vegan Vegetable Creamer (Sunflower Oil, Emulsifiers (Acacia Gum, Sunflower Lecithin), Brown Rice Syrup, Natural Flavourings, Anti-Caking Agent (Silicon Dioxide), Antioxidant (Alpha-Tocopherol)), Brown Rice Protein (6%), Flaxseed Powder (5%), Natural Flavourings (Flavourings, Sweetener: Sucralose), Potassium Phosphate, Calcium, Emulsifier (Xanthan Gum), Inulin Powder, Vitamin and Mineral Mix (Maltodextrin, Vitamin C, Zinc, Iron, Vitamin E, Niacin, Sodium Selenite (Carrier: Calcium Carbonate), Vitamin A, Copper, Manganese, Pantothenic Acid, Biotin (Carrier: Maltodextrin), Chromium (Carrier: Calcium Carbonate), Folic Acid (Carrier: Maltodextrin), Vitamin D (Ergocalciferol), Vitamin B6, Vitamin B12 (Carrier: Maltodextrin), Vitamin K, Potassium Iodide (Carrier: Sodium Citrate), Thiamin, Molybdenum (Carrier: Maltodextrin), Riboflavin), Magnesium, Thickener (Guar Gum). 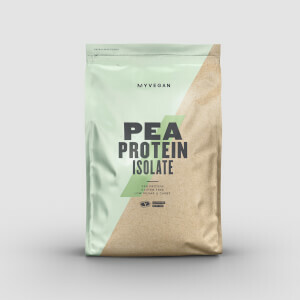 Vegan protein and carbohydrate powder blend with pea protein, flaxseed, brown rice protein and vitamins & minerals, various flavours with sweetener. Fortified food.